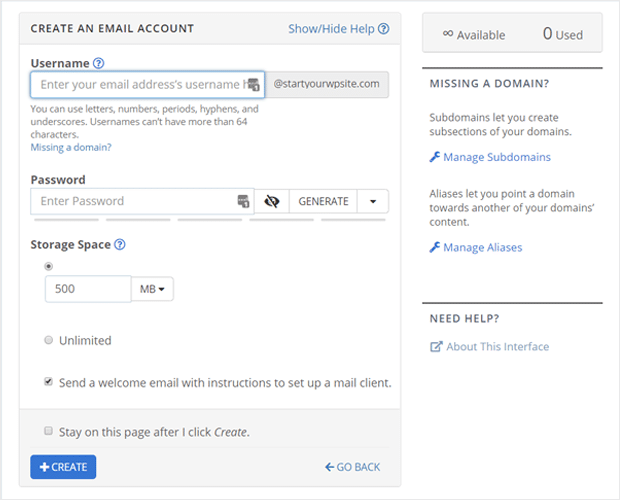 Want to create a business email address for free? A business email address makes your emails look professional, authentic, and helps to build a better bond with your customers. It’s an essential element of every successful online business. In this article, we’ll show you how to create a free business email in just a few easy steps. What’s a Business Email Address? And Why You Need It? A business email address is one that represents your business/website in the email space. Unlike a personal email account, a business email uses your business/domain name instead of an email service provider’s name. For example, you can have a business email sam@mycompany.com if your website name is mycompany.com. Whereas a personal email address would look like sam@gmail.com or sam@yahoo.com depending on the email service you’re using. Emails sent with a business email address look professional and official. Unlike a personal email account with a generic domain, people tend to trust emails sent from an address branded with your company name. That’s because only the real business/website owner and their staff can have business emails associated with that domain, as business email addresses need to be verified. Whereas you can have as many personal email accounts as you want with any name. With a business email address, you can raise brand awareness every time you send an email. As your email includes your domain name, people will notice and remember your brand name. With that said, let’s take a look at how to create a free business email address. To create a professional business email address, you’ll first need to have a domain name and a website. Sometimes you can create a business email address without an actual website, but not having a website to go along with your email address is like having a car without any wheels. It might look nice, but it won’t go anywhere. Next, you’ll need an email service provider to manage your business emails. Putting it all together: you’ll need to buy a domain name, email service, and a hosting account (for your website) to create a business email address. If you buy each element separately, it’ll cost you a lot of money. Luckily, Bluehost is offering an exclusive deal to our readers which provides all of these services for the cost of one. 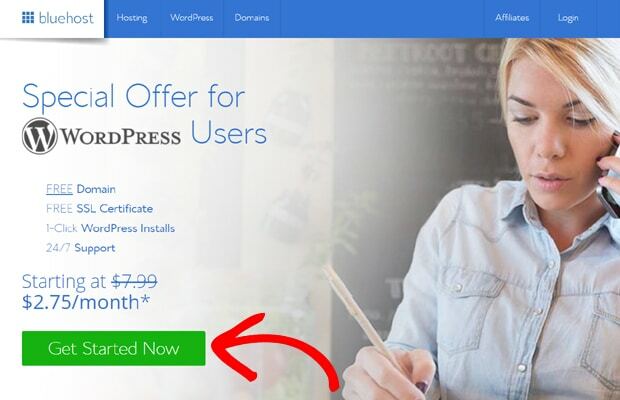 Now you can get a domain name and business email accounts for free with the purchase of any WordPress hosting plan. Their basic plan is available for just $2.75 per month. Bluehost is one of the top web hosting companies on the market, and an officially WordPress-recommended hosting company. So, Bluehost is the best deal for starting a website and creating business emails. 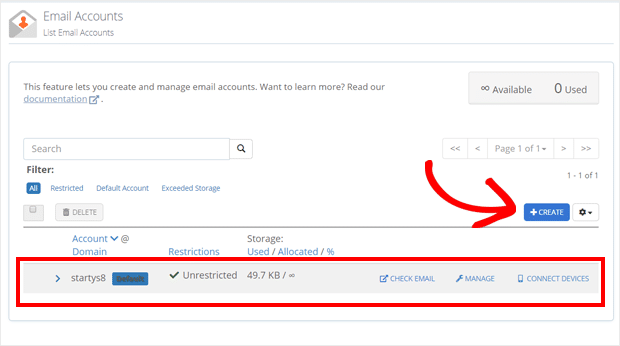 Now, let’s explore how to create free business emails with Bluehost. 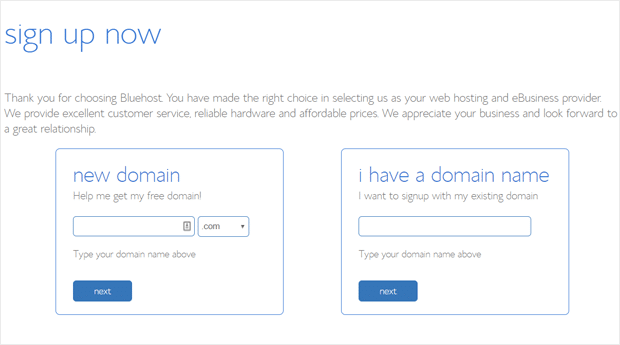 First, go to Bluehost’s website and click on the Get Started Now button. Next, you’ll need to select a hosting plan. If you choose the ‘basic’ plan, you’ll get a domain and 5 business email accounts free. 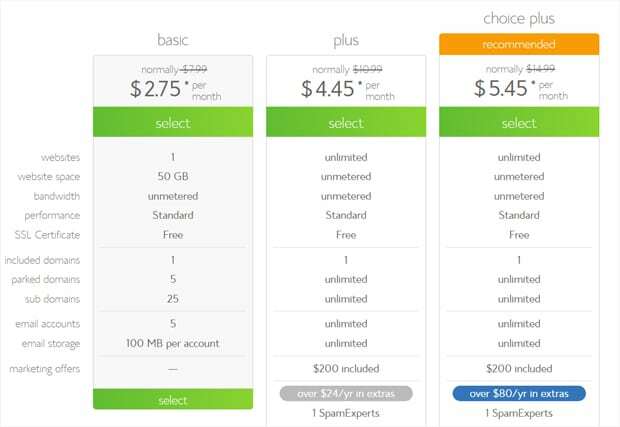 The other plans, ‘plus’ and ‘choice plus,’ allow you to use unlimited business emails. Review all 3 plans and select the plan that works best for your needs. Next, you can a select domain name for your business. Just enter your business name and click on the ‘Next’ button. After that, Bluehost will check if the name is available for registration or not. You’ll need to try again with another name if it’s not available. Once you have your finalized domain name, you’ll need to enter your account information and make the payment. After that, you’ll receive an email with your hosting login details. Then, you can log into your hosting control panel and start creating your free business email addresses. 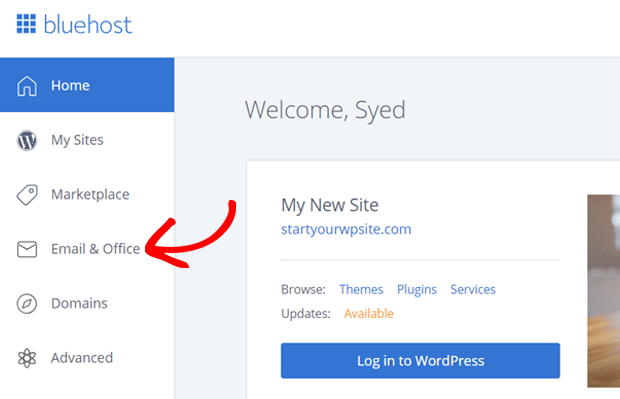 Once you’re in your Bluehost dashboard, locate and click on the ‘Email & Office’ menu on the left-hand side. Next, you’ll see the Email Accounts page where you can create and manage your business email addresses. 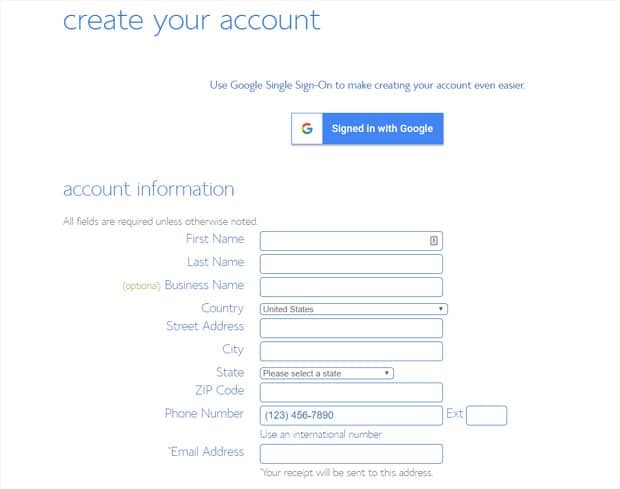 At first, you’ll see an email account created by default. To create a new business email, click on the ‘Create’ button. After that, it’ll open Create an Email Account page. You’ll need to enter your username and password first. Then, you can also select your mailbox quota. Once done, click on ‘Create’ button. That’s it. It takes just a few minutes to create a free business email address. Your new business email has been created, and you can see it on the Email Accounts page. Now you can repeat the steps above to create additional business email addresses for your employees or company use like info@mycompany.com. Now that you’ve created a free business email account, you’re ready to use your email address to send emails to your customers. You can use your Bluehost email with a webmail application or a desktop mail client. To get started, you’ll need to click on the ‘Check Email’ link. Now you’ll see default webmail application options. You can choose any listed application to check your email. Using these webmail applications requires no setup, but you may not want to use them in the long run. That’s because you’ll need to log into your hosting account every time you want to access your email. Alternately, you can use a desktop email application like ‘Microsoft Outlook 2010 for Windows’ on your computer. Bluehost detects your device automatically and offers you the necessary configuration settings to let you set up a desktop application. Bluehost provides you with easy options to manage your business email address. To get started, go to your Email Accounts page and click on the ‘Manage’ link. Now, you’ll see different options to manage your business account. You can change your password, allocate storage space, and update your account. 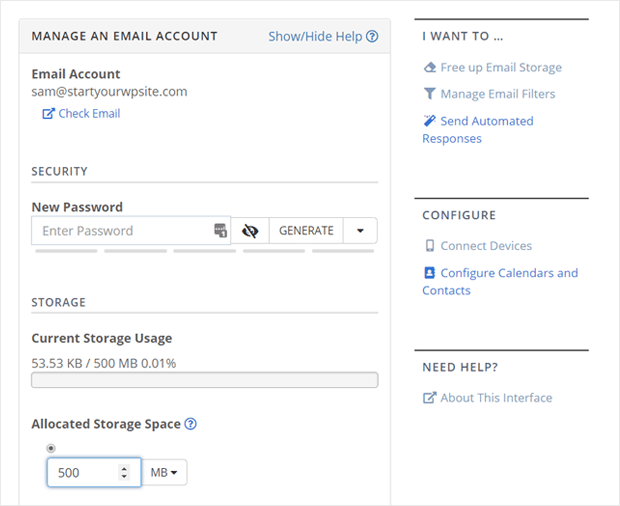 Then, you can free up your email storage, manage email filters, and also send automated responses. If needed, you can delete your email account via the Delete Email Account section at the bottom of the page. We hope this article helped to set up a free business email account with Bluehost. If you need more advanced email features and options, you can use Google’s premium email service: G Suite. 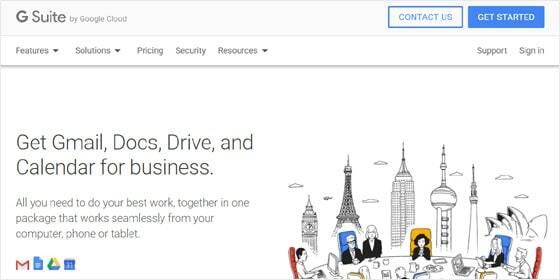 The basic G Suite plan costs $5 per user per month and offers a 30GB storage capacity. Plus, it has more powerful options and tools. So we recommend G Suite as a paid alternative to Bluehost’s free business emails. You may also like to read our guide on the best eCommerce email marketing practices to grow sales.